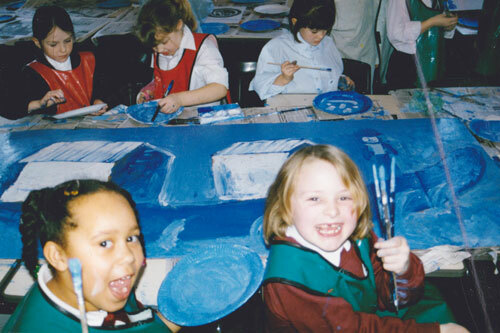 Based in the West Midlands, Real Arts Workshops (R.A.W.) is led by graphic design artist and musician Alex Vann, and provides high-quality, tailor-made Creative Arts Workshops for young people and adults including those who may not always have access to the Arts. ​These include people with additional needs and those who are marginalised for whatever reason. They help people of all ages to feel excited and inspired and to develop their confidence, break down barriers and take ownership of their creativity. You can book R.A.W. for projects, a day session, half day and taster workshops. We are DBS checked for work with children and adults and have Public Liability Insurance up to £5m. 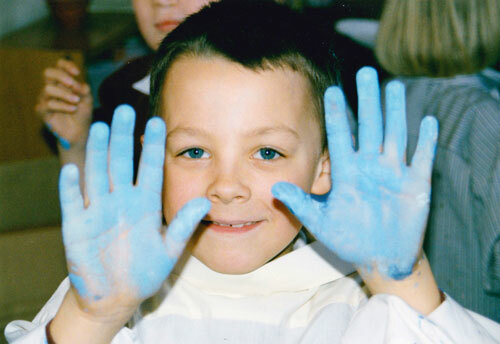 Alex is trained to Level 6 in BSL. WHAT PEOPLE SAY ABOUT R.A.W. A BRIEF HISTORY OF R.A.W. We all know the famous saying about children being more interested in the packaging of a present than the gift itself! This is because cardboard and other packaging materials leave much more to the imagination. 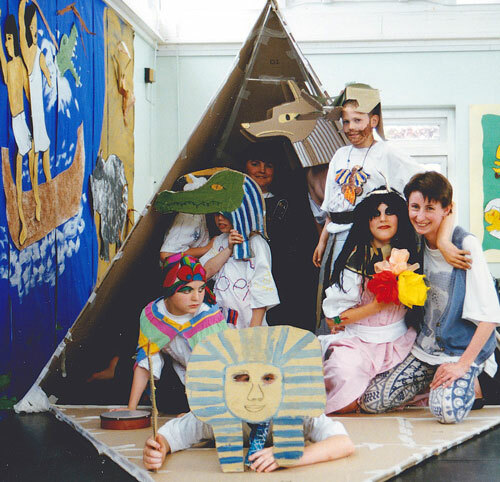 This was the inspiration for 'JOSEPH THE USEFUL CARDBOARD BOX' which was written by Alex and published with the help of an Arts Council grant and went on sale in WATERSTONES bookstores across the UK. 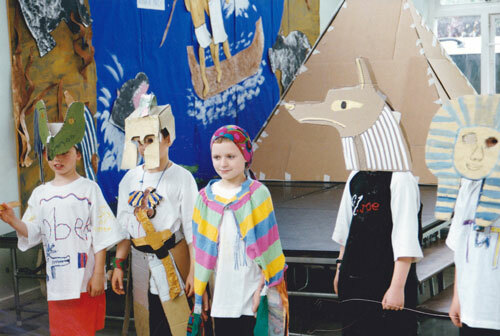 Egypt Creative Day at Birchley PRU: story writing, costume making and music making. Staff training at The Halesowen Project. 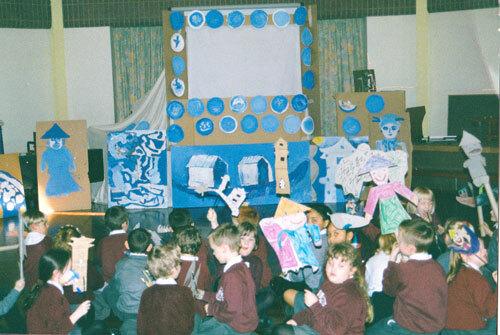 Willow Pattern topic: Chinese Shadow Theatre, plate design, scenery and puppet making. 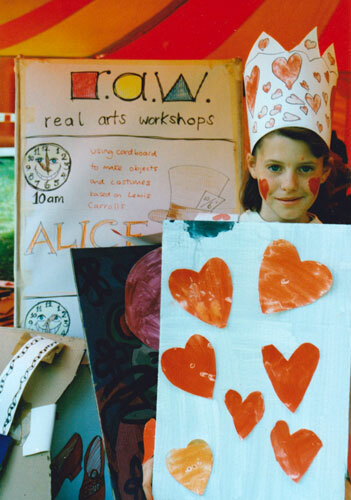 Alice Themed Workshop at Priory Park Festival, Dudley. 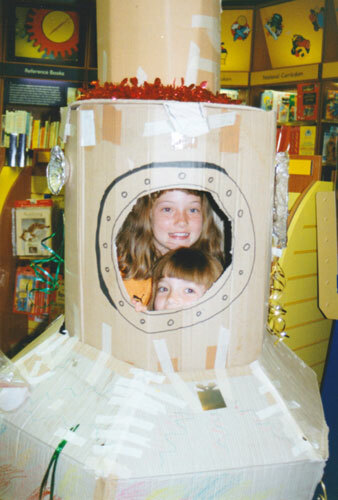 Space Theme Workshop at Waterstones Bookstore, Merry Hill, Dudley.